At 8:40 AM, we left Delhi and took a train ride bound to Agra. We had almost missed the train as it had left from the H. Nizamuddin railway station a minute or two after we had arrived. The station is about 30 minutes ride away from where our guesthouse is. We hadn’t expected that it will take us that long to reach the station coming from where we had stayed but luck was still on us that we had still able to hop into the train before it had departed. 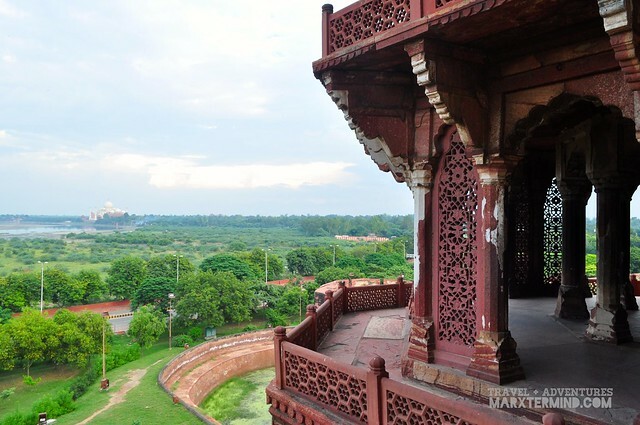 Agra is located 200 kilometres south of the national capital New Delhi. The district is part of the state of Uttar Pradesh. It can be reached from Delhi in 3 hours train ride. 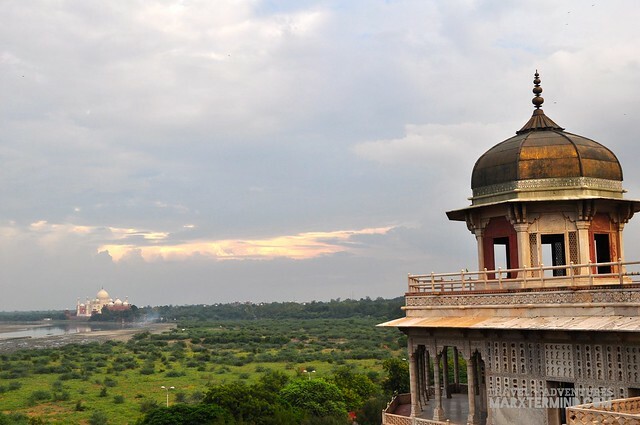 Agra is a major tourist destination in India because of its many marvelous Mughal-era buildings like Taj Mahal, Agra Fort and Fatehpur Sikri. 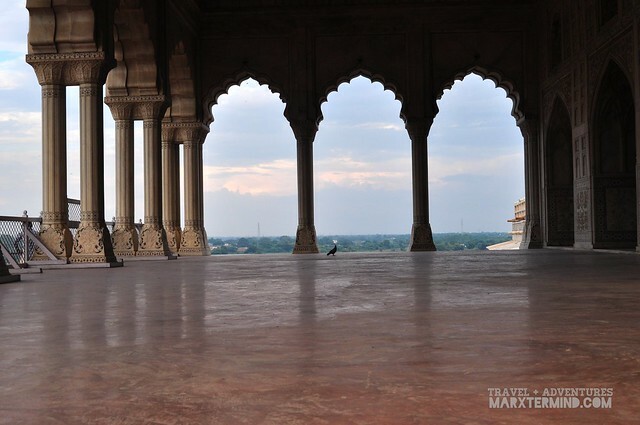 Because the past days have been a strenuous journey for us, we had decided to make this destination as our resting point and just go to few important places, including Agra Fort and Taj Mahal. It was already past noontime when we had checked in to our guesthouse, which is just located a few walks away from the eastern gate of Taj Mahal. We were about to go and sightsee some sites after having our lunch but had just decided to ditch the plan as we had suddenly felt uneasy and discomfort. We felt unwell, we got stomach ache. “Hey, we’re in Agra! Taj Mahal is here – why are we feeling this now? Where did the excitement go?” Well, blame it to our aching stomach but I think it’s just normal to feel this kind of discomfort when visiting India. I think what had triggered was the food that we had eaten during our lunch. Well, we didn’t eat on that place anymore. 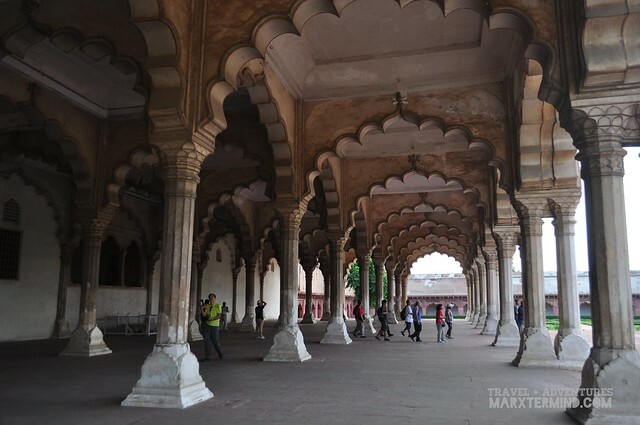 It was already late afternoon when we had finally decided to get up from our bed and had the remaining time of the day spent in Agra Fort. 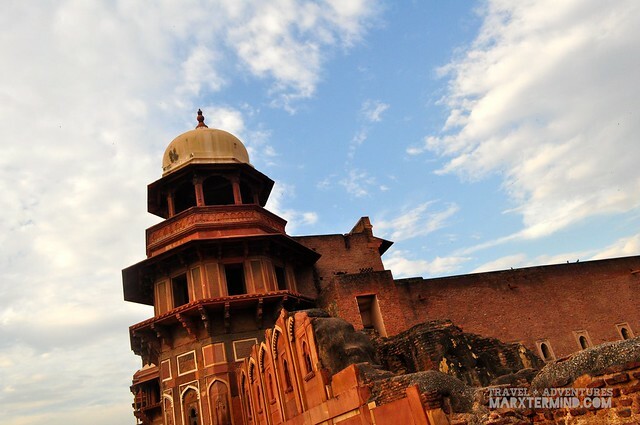 From our guesthouse, we rode an auto rickshaw and paid about Rs 80 to get to the fort. 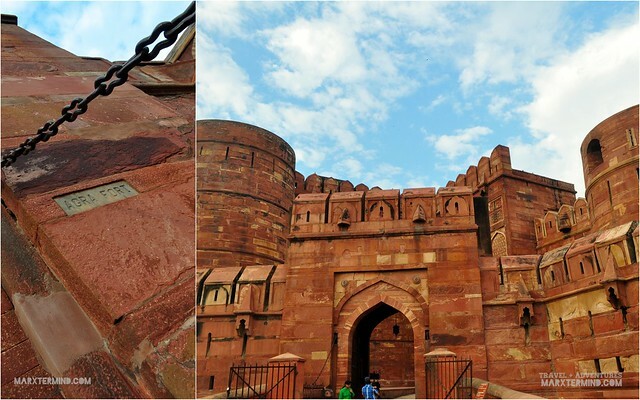 Agra Fort is a monument and a UNESCO World Heritage site in Agra which can be more precisely described as a walled city. 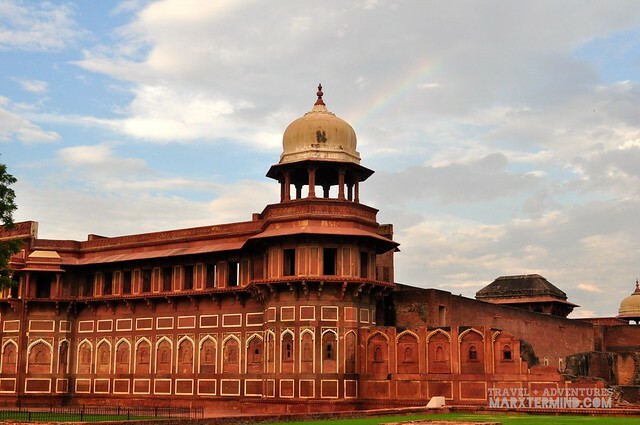 The fort is also known as Lal Qila, Fort Rouge and Red Fort of Agra. It is about 2.5 km northwest of its more known sister monument, the Taj Mahal. 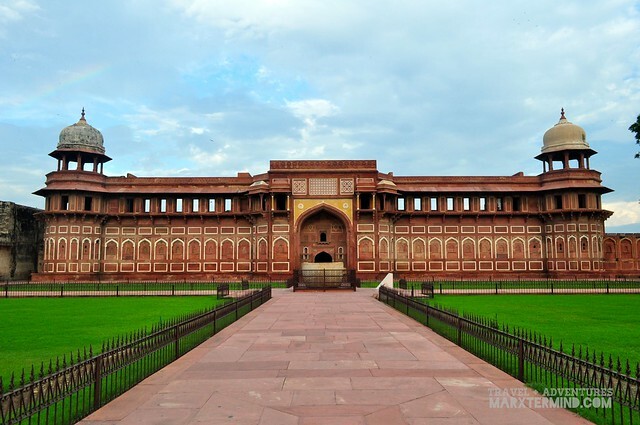 It was said that Agra Fort was built by Akbar in Red Sandstone when he was through with the consolidation of his power after accession to power in 1654. 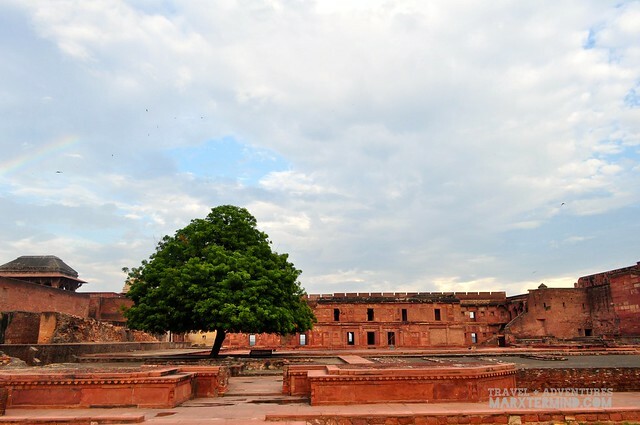 The fort served both as a military strategic point as well as the royal residence. The fort is open all day which can be visited from sunrise to sunset. Entrance fee for foreigners costs Rs 300 while for Indians costs Rs 20. It was already nearing sunset when we’ve decided to get out from the fort. With no other place that made us interested to go, we moved back to our guesthouse.We went to Joney’s Place, a Lonely Planet’s recommendation, for dinner. 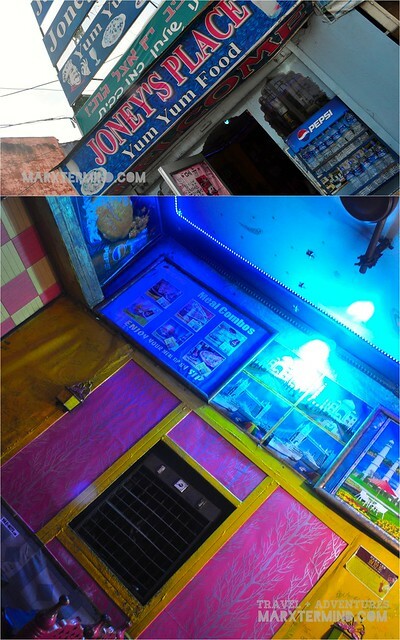 The place is a small eatery situated outside the south gate of Taj Mahal. They offer good food (yum yum food) in an affordable price. Since we’re still experiencing stomach discomfort that time, we only ordered few meals just to fill in our tummies. 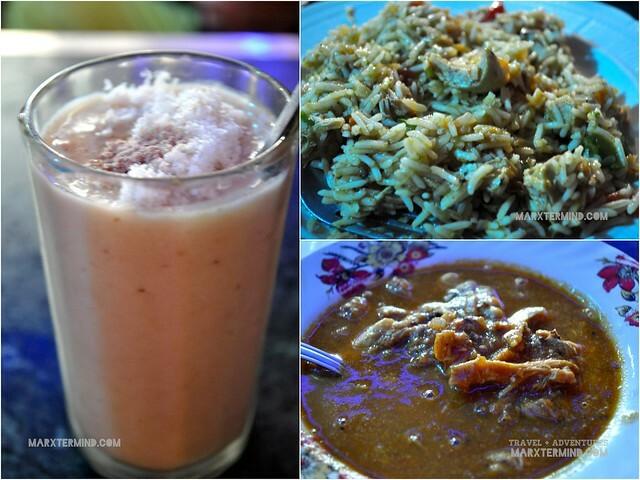 I had read from online that Lassi is a must try on this restaurant so I ordered one that night, and another one when we went back here for our lunch the next day. Despite of feeling uneasy with my stomach aches I was still able to enjoy the food most especially the Lassi. The staff are friendly and welcoming. They will even help you choose what dish or meals to try. We haven’t done so many for our first day in Agra which was actually quite good since we’ve been desiring for a break from seeing temples, walls, and any other similar places that we’ve visited for the past days. That night, we had just hope that everything will be fine the next day because the place that we’ve been dreaming to see will finally take place. And that’s when the excitement went back. Hint: the most popular destination in India! How to Apply for a US Tourist Visa in the Philippines? How to Visit Shifen and Jiufen in One Day? Hi, I’m Marx. I’m a blogger based in Manila, Philippines. I’m adventurous and enjoys exploring different places. I visited 16 countries... and plans to travel more countries soon. My blog covers travel guides and my narratives of my adventures on the road.